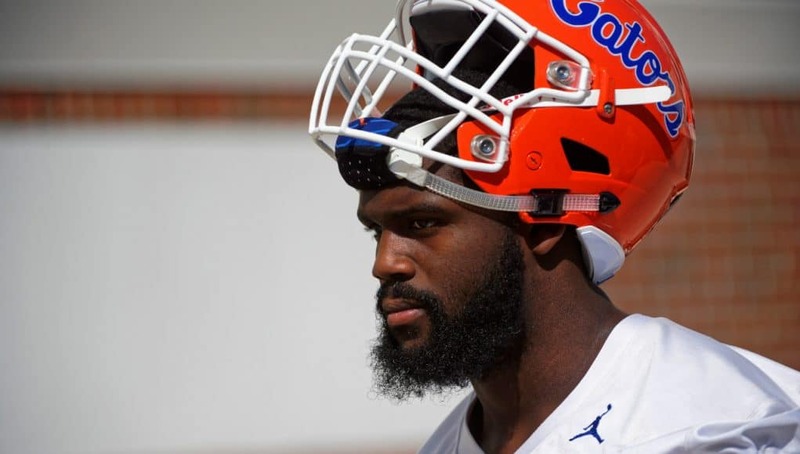 The Florida Gators highest rated recruit from the 2016 recruiting cycle will transfer. Antonneous clayton was the 27th ranked payer in the country when he signed with the Gators in 2016 but hasn’t found his footing in Gainesville and has entered his name into the NCAA transfer portal. Clayton was moved from defensive end to Florida’s rush linebacker (BUCK) position last year. The coaching staff decided to redshirt him in 2018 while he adjusted to that. Clayton was receptive to the redshirt because it would give him two more years of eligibility. Clayton alluded to transferring when he spoke to reporters last week. Clayton amassed just 11 tackles during his three seasons in Gainesville. After redshirting in 2018, and with the departure of several players that were ahead of him on the depth chart this year appeared to be a chance for Clayton to finally realize his potential and play. However, just six practices into spring and clayton was finding it hard to get reps ahead of transfer Jon Greenard. Additionally redshirt freshman David Reese, Andrew Chatfield, early enrollees Mohamoud Diabate and Josiah Pierre were getting reps at BUCK as well. Clayton is on track to graduate this year. He and his girlfriend have an eight month old son, Antonneous Jr.